Keys, extension cords, medication, even tools – it’s amazing what we tend to accumulate in our “junk” drawers. It is possible to get and keep those pernicious junk drawers clean. Here are the 6 steps to getting it done. Clear a space on a counter, and cover it an old cloth and just empty the drawer. While the drawer is empty, wipe it clean from any debris so you can start over fresh. As you look through items (even the ones you need to throw away) pay attention to groupings and patterns. There’s a reason you placed the item in the junk drawer – you don’t have a convenient place to put it, or you don’t trust your designated space. If you have 20 writing pens and a large assortment of sewing tools, for example, then you are in need of a pen cup on your desk, or a well-placed sewing kit. In order to stop the pattern of dumping items in the junk drawer, you need to find new places to put items. Throw away the trash and anything that is truly junk or outdated. Don’t hold onto items that have been in the junk drawer for two years, or that you have no idea what it is used for. Sort the remaining items into groups. You will surely have stationary items, tools, magnets, clips, hair bands, and the like. You can use empty baby bottles, plastic storage containers, ice-cube trays, utensil drawers, and even paper towel rods to organize items. What you use depends on the size of the drawer and the size of the items you need to store. Have a storage spot for everything. 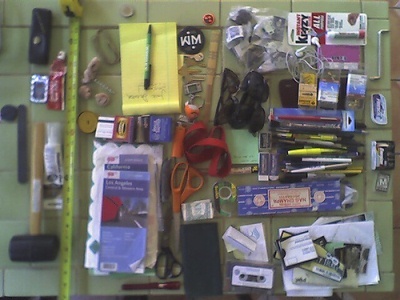 Don’t forget to leave space for items you anticipate putting in your junk drawer. Remember, the key to keeping your junk drawer clean is to have a convenient storage space for everything, even if that storage space is a trash basket. Photo Credit: Available via a creative commons license on flickr. 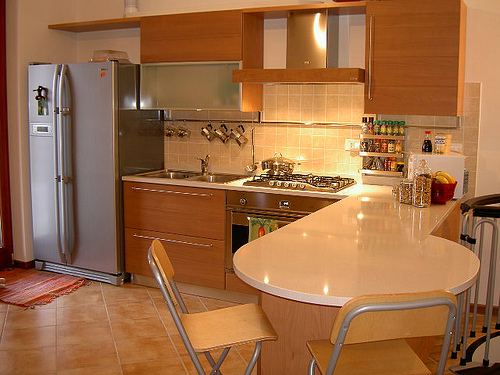 The kitchen is best known as the gathering place of the home. With all of that gathering going on, clutter is sure to happen. You can clear kitchen clutter by following these helpful tips. Dress up your dining table. The prettier your dining room table looks, the less likely it is to become a catch all for junk. It doesn’t cost much to create an attractive table setting. Just pick up some place mats on sale, and find creative ways to make napkin holders for a start. Then mix and match plate designs to keep it interesting. You may want to take it to the next level by changing around the table settings twice a year. You do not have to keep every single kitchen appliance on top of the counter. Instead, you can put the ones you use often on the counter and keep others within reach. Use one cabinet strictly for small appliances so that you build the habit of putting them away in the same place after each use. Keep a basket as a catchall. When the basket is full, go through it, putting items away and throwing away things you don’t need. Keep trash cans easily accessible. Don’t let garbage accumulate in your kitchen when you can just as easily throw it away. The same goes for your recycling. Keep a recycling bin just outside your kitchen door so you can toss out those bottles and cans before they accumulate. At least twice a year, take everything out of your cabinets and wipe the cabinets down. Use this as an opportunity to wash all of your pots and pans and throw away or donate items that you no longer need. This will also help you find storage containers and misplaced lids, and will keep you from purchasing items that you already own. Given the amazing benefits of a clean home and how important it is to a sense of self worth, it is no surprise that a clean and organized home is a perennially popular New Year’s resolution. At Sponge & Sparkle, Inc. we want to help you keep your resolution, so here are a few quick tips to make it easier to keep your home clean. Studies show that each of us spends, on average, 685 hours each year cleaning. That’s almost an entire month! By learning how to speed up the process, you will save untold hours and reduce your aggravation and frustration. Did you have an imaginary friend as a child? Well, now it’s time for your imaginary inspector. The inspector’s only task is to ask the following question about items in your home: “Is it beautiful or useful?” If the answer to is no, this item should be removed as soon as possible. Assign it to one of the following categories: garbage, charity, or sale. Starting with a clean slate will make achieving your goal easy. By hiring a professional cleaning service to provide a detail clean, you will quickly gain traction on your New Year’s resolution. Imagine coming home at the end of a long day to a tidy, serene bedroom. Doesn’t the thought of it just make the stress drain out of your body? Making your bed takes, at most, 2 minutes and can really go a long way towards giving you a feeling of serenity. On the other hand, since the bed is probably the largest piece of furniture in your bedroom, having it untidy and messy is guaranteed to raise your stress level. You know those little people – also known as your children? Put them to work. Even young children can be assigned small, age-appropriate cleaning tasks. Do not carry the entire cleaning load on your shoulders. 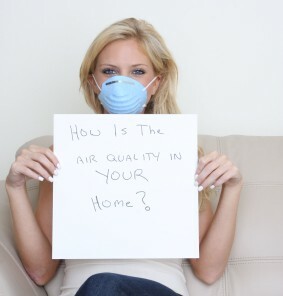 Put these quick tips into practice, and you will find yourself in a cleaner home before you know it.